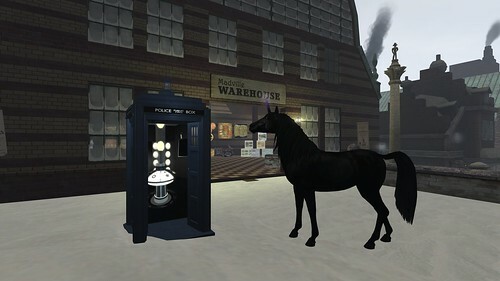 Site-Wide Activity › Forums › Breaking News › Snow Animal Contest! Yay! Tagged: Foxes, Snow Animals, SQUEE! 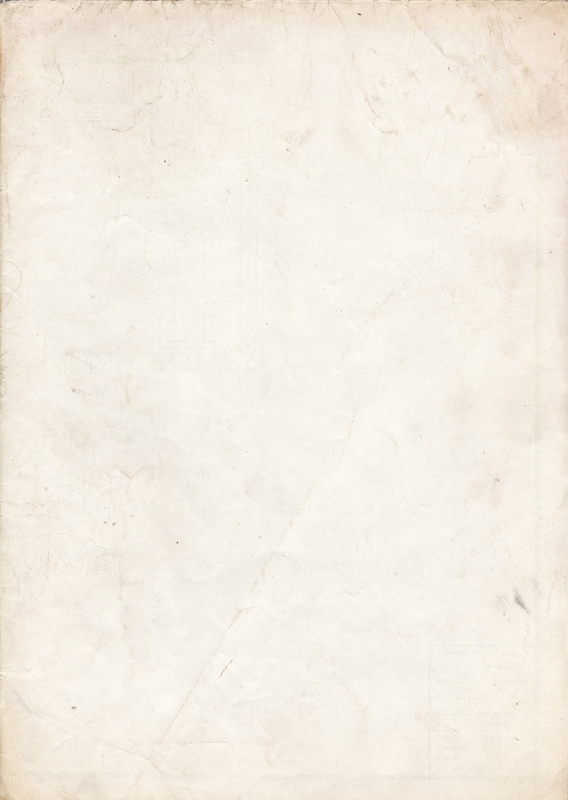 This topic contains 6 replies, has 1 voice, and was last updated by Avariel Falcon 2 months, 3 weeks ago. 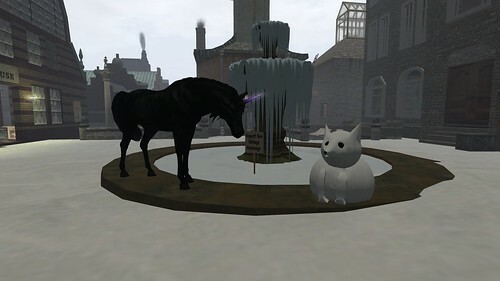 It is traditional in the city of New-Babbage that with the coming of snow Jack arrives with a sealed envelope containing the name of the animal we are to make for the snow animal contest! Avariel looked at the letter, “So… This looks like one everyone will enjoy this year!”. Unit #6 rumbled in reply, “Much… more… SQUEE… than… last… year…”. The dark unicorn nodded, “Now we just need categories for the judg…”. Unit #6 responded with unusual quickness! “SQUEE!”. Jack waved his stick and shouted! “Foxyness!!!”. 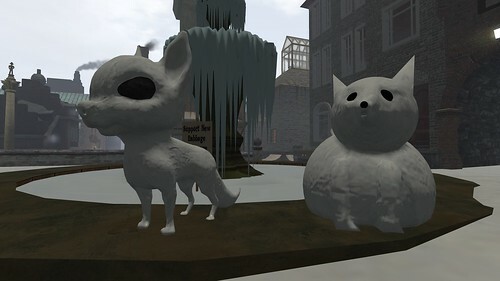 Its time to anounce the animal for the New-Babbage winter snow animal build contest for this wonderful year 188x! Yay! And this years animal is… FOXES! Prizes awarded based on Foxyness and SQUEE! Land Impact will be 15 or less, old style prims or mesh are good, sculpties less so as we are generally trying to move away from sculpts. The build area will be the old fountain in Clockhaven! 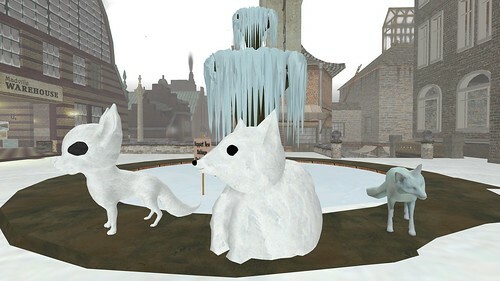 The last day for placing of snow foxes will be the 12th of January, after that I will photograph all the snow foxes and the judging will commence! Yay! This topic was modified 4 months, 1 week ago by Avariel Falcon. Reason: Befuddlement! This is the place for snow foxes! Thats not a snow fox!!! We have our first snow fox! Yay! We have our first snow fox, but Jack would like to see more! I’m going to extend the deadline by a couple of weeks to give everyone some extra time to complete their snow foxes. The new deadline is the 26th January, on this day I will photograph the snow foxes and the judging will commence! We now have two snow foxes! One is thin and the other very well fed! There are two weeks left to make snow foxes so plenty of time to enter the competition this year! The contest is now over and we have our winners! There were only three entrants this year and all three scored so highly in Foxyness and SQUEE! that the judges decided unanimously to award them all first place! Yay!